SLEEP SOLUTIONS FOR THE WHOLE FAMILY! Jenni June provides a potent and powerful balance of sleep science, a variety of behavioral and habit changing “methods”, and thoughtful and holistic foundations for optimum infant and child sleep and mental health. Sleep hygiene is the medical terminology for syncing your child’s sleep with their natural biological rhythms and integrating specific evidence-based sleep science techniques, environment, routines and conditions that help elevate and kick-start your child’s natural melatonin production, so that the brain and body WANT to do the sleeping. The only thing left to “fight sleep” after this is a child’s “will” and/or the temporary struggle of unlearning old habits and replacing them with powerful new ones. Sleep Hygiene sets a child up for success! There are no tears involved with this wellsleep component of my sleep plans. The 4 Pillars of Sleep Hygiene™ may be used alone to help “take the edge off” of your current situation. Some of my families note that it does the job entirely, without having to use a behavioral “method” at all. My co-sleeping and attachment parents love this! However, without the 4 Pillars of Sleep Hygiene™, no behavioral sleep training method will be successful. It will quickly fall apart when your child is ill, or with travel or time zone changes. That’s because sleep is more than just behavioral, it’s about the brain and hormones. If you would like to use a behavioral sleep training “method” in conjunction with your sleep hygiene plan, you may do so, and feel confident knowing that there is far less stress and resistance with a proper sleep hygiene plan in place as your wellsleep foundation. 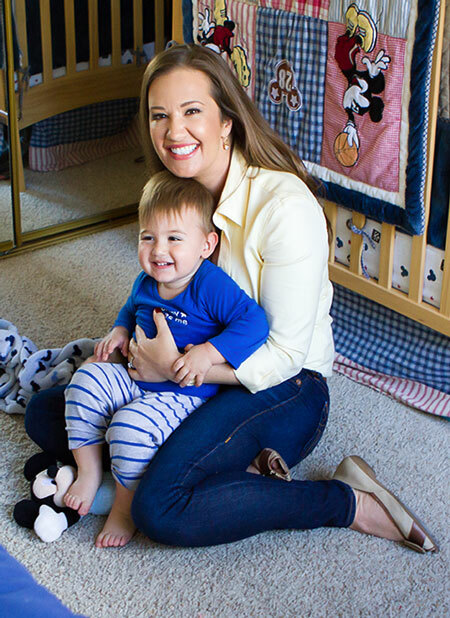 jennifer Metter, Founder of Jenni juneTM LLC, is a Certified Child and Family Sleep Consultant, specializing in pediatric and adult sleep hygiene; A certifiec laction counselor, host, national speaker, and mom of 4 young adults! With well over 3000 successful sleep cases under her belt since 2011, she is a valuable resource for everyday and celebrity parents all over the country, including Guiliana and Bill Rancic for the Style Network! And, she is a sleep training expert on The Doctors TV show! views on Jenni’s collective and collaborated You Tube videos have topped over 3 million!